In the second of a series, campaigner John Grayson examines the asylum markets for private companies involved in providing services under the Direct Provision (DP) system for asylum seekers in Ireland. Who benefits from the system of direct provision? Who benefits from placing so many obstacles in people’s lives and imposing limits on the potential of children? Who benefits from not allowing people to cook for themselves, from not allowing mothers to pass on cultural knowledge of food to their children? Who benefits from removing the very idea of privacy from families, with children having to share rooms with their parents? Who benefits from imposing a structure on people that strips them of their dignity and identity; from not enabling smart, talented, well-educated people to participate in our society? Earlier that day I had been with Hope and May, activists in the Newbridge Asylum Support group, who had been telling me about the harrowing conditions in Direct Provision (DP) centres like the former Eyre Powell hotel in Newbridge they had both spent time in. I was planning to drive the next day to Tralee in County Kerry to meet people in the two DP centres there. At the end of December 2016, a new International Protection Act came into force in Ireland, and Lucky proved to be right about the effects. From the introduction of Direct Provision in 1999, centres were scattered in remote corners of sixteen counties in Ireland, which meant that asylum seekers were, as the Irish Times put it in April 2005, ‘stuck in Ireland’s hidden villages‘. 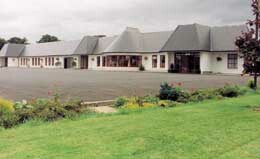 The Ministry of Justice in 2001 set up the Reception and Integration Agency (RIA) as a contracting agent to procure disused holiday camps, rundown hotels, caravan sites, abandoned convents, and hostels, and to agree contracts to run the centres with individual owners, development companies who had bought the premises, and international corporations who identified an investment opportunity. This Irish asylum market, created in 2001, was one of the first examples in Europe of state-sponsored and funded privatisation and outsourcing of asylum accommodation. This pattern has now become dominant across northern Europe, in what Daniel Trilling in 2015 called Europe’s Migrant Industrial Complex. Only three of the DP centres were purpose-built; one of them, the Balseskin centre, was recently described as ‘bleak’. Seven of the DP centres are owned by the Irish government and the management of them outsourced. For instance, the Kildare Road centre in Cork was purpose-built, is owned by the government, and is managed by the US corporation Aramark. The DP system has become ‘a multimillion-euro industry’. By 2016, private companies accommodating asylum seekers and refugees in Ireland were paid €64.13 million, a rise of 12 per cent on the €57 million spend in 2015, for thirty-seven DP centre contracts with the RIA, according to the Agency’s annual report. Eight of the contractors were paid a total of €43.5 million For the 4,000-plus people living in the contractors’ centres, the Government provided €3.6 million for direct provision allowance in 2016. In 2016, two of the DP contractors, Mosney Holidays and East Coast Catering, each received contract fees in excess of €7 million. Between 2002 and 2016 Mosney Holidays received a total of €119.4 million and East Coast Catering €115 million. According to the Irish Times, ‘the profits enjoyed by the two companies, and a number of others in the sector, are not known, as they have unlimited status and are not required to lodge annual accounts with the Companies Office‘. The RIA in 2016 published a Report on the value of the contracts given for DP accommodation from 2000 to 2014.The report did not disclose contract values beyond those awarded in 2013, for ‘commercial reasons’. In October 2013 inspection reports carried out by the RIA, or by the private company QTS, on behalf of the Agency, were obtained under the Freedom of Information Act by the Irish Times. The reports are now published regularly, but are limited in the main to repairs, hygiene and nutritional levels of food. QTS Ltd., the private company contracted to inspect the other private contractors and their treatment of vulnerable traumatised families, is … a fire safety company. Any complaints from residents in centres, to managers and to the RIA, are not recorded and logged officially by the agency. 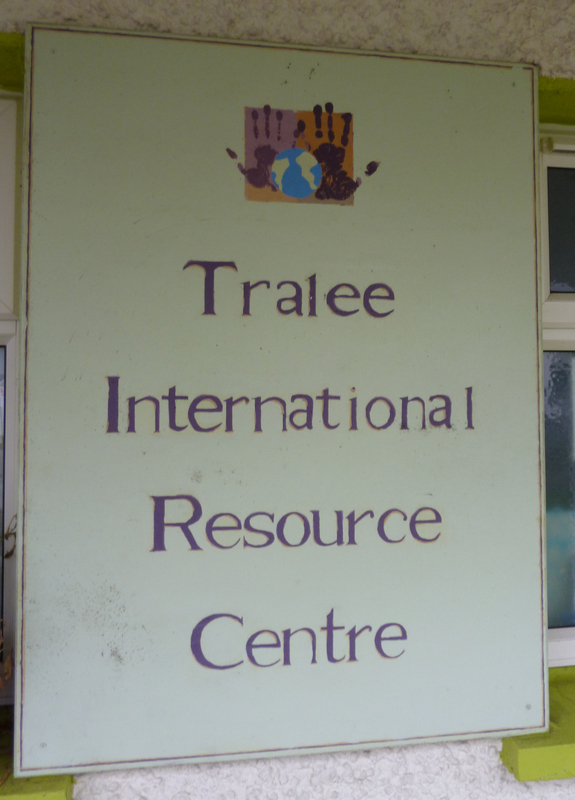 The process of tendering for direct provision centres by the RIA is problematic. Contracts for services in the seven state-owned centres are awarded on an EU competitive tendering basis – this applies to Aramark’s contracts in Cork, Athlone and Knockalisheen, and Onsite Facilities Management (OFM) Ltd contracts in Tralee and Killarney. These companies have been awarded renewable three-year contracts. The RIA ‘seeks “expressions of interest”, evaluates the responses and then agrees contract terms with selected providers’. The Irish Comptroller and Auditor General report declared that this form of tendering breached ‘EU procurement rules’. These negotiated contracts are awarded on a one- or two-year, and at times longer rolling basis; some individuals and groups of companies have held contracts since the earliest days of tendering and contracting, in 2000 and 2001. All the contractors are paid monthly in advance for the numbers of asylum seekers they contract for, regardless of whether the centre is full. In 2015, the RIA announced that it was planning to contract twelve more centres, because of increased demand, and was seeking ‘expressions of interest’ from parties ‘interested in providing accommodation and ancillary services for persons seeking asylum in the State’, ‘which can accommodate upwards of 50 persons and which should be reasonably close to all services, eg, shops, schools, transport etc’. In advertisements, the RIA said: ‘Arising from the recent significant increase in asylum applications the RIA intends to draw up, from the expressions of interest, a list of potential service providers with whom it may be in contact if/when the need for such service provision arises’. Ireland’s dubious asylum market is one of investment and ownership of DP centres, and the vulnerable families and people in them, by seventeen different companies, who range from one of the world’s richest investment funds, and two transnational corporations, to small family businesses, and even private individuals, making money from the asylum seekers in the local DP centre they own, or manage, on contracts from the Irish state. 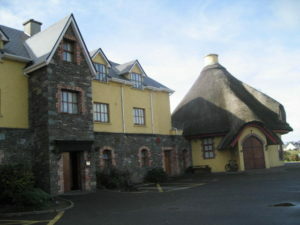 In Tralee, in December 2016, speaking with residents of Johnston Marina Hotel and Atlas House, the DP centres in Tralee, County Kerry, I gained some insight into the running of DP centres owned by the Irish government with the everyday management outsourced to a local County Kerry company, Onsite Facilities Management (OFM) Ltd. OFM, formed in 2006, was delivering RIA three-year rolling contracts, for the two Tralee centres, and also for the Atlas House and Park Lodge DP centres in Killarney, County Kerry. When I was in Tralee, the company’s previous contract had just run out, in November, and they were starting a new contract. EU records show that the company had just completed a three-year contract worth €4,656,159 for the two centres. The contract price was for ninety places at Johnston Marina, and 110 at the Atlas House Centre Tralee. The company appears to be family-owned, by Jamie Carnegie, Catherine Leen, Elaine O’Connor and Michelle Carnegie. Catherine Leen is also listed as manager for the company’s two Killarney centres. Michelle Carnegie is the centre manager at Johnston Marina centre in Tralee. The company’s abridged accounts do not give a profit figure, but say that, in the year to the end of February 2013, the company paid €312,000 for security services to Onsite Security Management Ltd, a company owned by centre managers and OFM company owners Michelle Carnegie and Catherine Leen, as well as a further, undisclosed sum for management services. Accumulated losses at OFM, at the end of the period, were listed at €213,833, over €100,000 less than the accumulated loss at the end of the previous year. The company’s other RIA contract in County Kerry for two other government-owned centres, Atlas House and Park Lodge in Killarney, was worth €3,515,278.50 from 2013 to 2016. Talking in December to two of the Tralee DP centres’ residents in the Tralee International Resource Centre, Christine and Charles (not their real names), a very bleak picture emerged of the conditions in the OFM-managed premises. (See Direct Provision in Ireland: the holding pen for asylum seekers) The most recent official RIA inspection, in March 2017, of the Johnston Marina Hotel found evidence of bed bugs in one family room, deeply stained baths, and a carpet that need immediate replacement in a family room with four people. ‘It is really difficult for the women in there. One woman from the Balkans was on the verge of suicide. I encouraged her to come every day to be around me, when I was working at home. It took months for her to get back to being able to cope. Everything is rationed, when the personal allocations of nappies run out, we have to help and provide some, the mothers simply cannot afford them. Local schools are really good, and teachers help with transport of children from the centre – there is no transport provided. Other families have not been so lucky – many have been deported. One family from Nigeria, with four children, had been in the centre for nine years, children had been born here, and attended local schools. When they turned down the final appeal, the government said that they ’had shown little evidence of making efforts to integrate into local community life’. As Liam Thornton has pointed out, the 2015 McMahon report revealed that ‘There are around 1,000 persons waiting on judicial reviews as of February 2015 … As regards length of time in the judicial review process, thirty-eight per cent (381) have been in the system for over four years, and five per cent of those awaiting judicial reviews have been awaiting a hearing for more than five years.’ In 2015 there were considerable delays (up to twenty-seven months) in even getting a date for an application to a High Court judge for leave to seek judicial review. The new International Protection Procedure introduced at the start of 2017 aims to streamline the asylum process and produce more speedy decisions. However, at the end of June it was reported that were more than 4,500 open cases. New asylum seekers (unless they fall within a prioritised category) are currently waiting around 18 months for an interview. Under the Irish Refugee Protection Programme (IRPP), established on 10 September 2015, the Irish Government pledged to accept ‘a total of 4,000 persons into the State by the end of 2017’, through a combination of resettlement and relocation schemes. Syrian refugees, arriving in Ireland for resettlement, have been switched from the overall control of the Ministry of Justice, to the Office for the Promotion of Migrant Integration (OPMI). The RIA is still in charge of contracting accommodation, and has contracted three Emergency Reception and Orientation Centres (EROCs), for the accommodation of refugees during their initial orientation period of approximately 6-8 weeks, before they are moved on to permanent homes across the country. By the end of January 2017, 761 refugees had come to Ireland. By August 2017, 250 of the first 273 arrivals had completed their initial language training and orientation programme in one of the two EROCs, the Hazel Hotel in Monasterevin, and the Clonea Strand Hotel in Dungarvan. These refugees have been resettled in housing in Kerry, Cork, Clare and Limerick. As programme refugees, the refugee status of these first 520 people was established before they travelled to Ireland. Syrian refugee families will not have to go through the asylum process, or spend time in DP centres. Nevertheless, the families followed the path of all asylum seekers since 2000 in Ireland, being dispersed away from Dublin to rural and coastal villages, in hotels contracted from private companies. The first hotel to be contracted in August 2015, only 69 km from Dublin, was the Hazel Hotel, Monasterevin, County Kildare, contracted from Oscar Dawn Ltd., for 520 refugees. Oscar Dawn Ltd., is part of the Sean Lyons and Fazyard group of companies, who run the Georgian Hostel DP centre in Dublin, and the Montague Hotel DP centre in Laois. The Hazel Hotel is contracted for 143 family places for refugee families at any one time, and 520 places in all. The Clonea Strand Hotel EROC, Dungarvan, County Waterford, 206 km from Dublin, is contracted from Clonea Strand Hotel Ltd., for around 100 places for refugee families. The contracting of this three-star hotel from the McGrath family of hoteliers follows the pattern of DP contracting for many years. In 2016 the Ministry of Justice spent €51.7 million on the twenty-eight commercially owned DP centres. This figure includes €3.2 million for the Hazel and Clonea Strand hotels. The third EROC is the recently refurbished Abbeyfield Hotel EROC, 186 km from Dublin, in Ballaghadereen, County Roscommon, contracted from investment company Next Week and Co., and contracted for around 200 refugees over two years, from January 2017. The recently built Abbeyfield Hotel was closed down in the crash, and has been signed over by investors to the Department of Justice as a reception centre for Syrian refugees. Ballaghaderreen is a small, economically depressed town, with over thirty per cent unemployment. It has, according to the Irish Times, the cheapest housing in Ireland. One entire ‘ghost’ estate of more than fifty-one new houses in the town, abandoned after the crash, was bought by investors in 2015 for €500,000 – about €10,000 per house. But the same income as all DP residents…. The refugees, during their stay in the EROCs, get similar support to individuals and families in Direct Provision generally. They are given full board accommodation, health and education support, and €19.10 (now €21.60) for adults, and €15.60 (now €21.60) for children per week. This article is based on discussions with residents and former residents of Direct Provision (DP) centres, and with activists and campaigners against the DP system, in December 2016. It draws on a large range of secondary sources, research, and journalism analysing the DP system: the work of academic activists such as Rona Lentin, Gavan Titley, Liam Thornton and Ann Mulhall, and journalists like Carl O’Brien and his colleagues at the Irish Times who in August 2014 authored Lives in Limbo, a series of articles on the Direct Provision system. Full details and backgrounds of sixteen of the companies can be found in my article ‘The companies who profit from the Direct Provision System’ which should be read alongside this current piece (this will be published next week).